You may not believe, but car travel is the ideal way to get around in Melbourne. If you want to explore and make up your itinerary as you go, then hiring a car would be a better choice for you. The highways are well-maintained and constantly being improved, so you can cruise around the city by hiring a car. Most people have a misconception that car rentals in Melbourne are quite expensive and even break the bank. If you are one among them, then you are absolutely wrong. In fact, there are several ways through which you can secure cheap car rental deals. So, be prepared to book a cheap car with the following tips. First and foremost thing is to look around and compare prices. You must spend considerable time to visit many car Rental Company and travel booking websites to check and compare prices. By doing so, you will also be able to find an unadvertised deal on the car rental company website. If you are really serious about finding cheap car hire in Melbourne, you should never restrict yourself just to airport locations. In fact, you will often find better rates with rental companies located away from the airport. If you want to make considerable savings on car rentals, then you must be ready to adapt your car rental needs to the cheapest available car type. In fact, a compact car that can accommodate all the passengers may be the cheapest option in terms of car rental. To make savings, you should be versatile enough to book whatever model is available with maximum discounts. If you are planning a trip during off-season time or make reservation well in advance, you can definitely find some discounts on car rentals Melbourne. 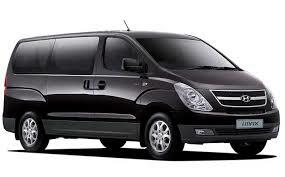 Moreover, you can also take advantage of a number of offerings made by a car rental company. There are many service providers in Melbourne who offer special rates for long term rental. If you want to stay in this city for an extended period of time, then it is a fantastic idea to look for such companies. When you have all these points in your mind while looking for car rentals, you can definitely find a better deal.